Watchtower | Missing the point? It is undeniable that JW is anew religion.. unlike Christianity for the sect known as Jehovah’s Witnesses (JWs) began with Charles Taze Russell in the 1870’s. Russell was raised a Presbyterian, then joined the Congregational church, and was finally influenced by Adventist teachings. By his own admission, he had a hard time accepting the existence of hell. He sought out the Bible, and as his “studies” continued, he systematically began to reject the major doctrines of historic Christianity. He ultimately established his own belief system, and in 1879 he started publishing a magazine to promote his beliefs. This magazine was the precursor to today’s Watchtower (WT) magazine, by which Jehovah’s Witnesses are typically known. The New World Translation (NWT), the JWs’ own Bible version, was created between 1950-61 in several parts, beginning with New Testament (NT). The translation was made by an “anonymous” committee, which transliterated and altered passages that were problematic for earlier JWs. Nathan Knorr, Fred Franz, Albert Schroeder, George Gangas, and Milton Henschel were later identified as the men that created the text, which is used by no other sect. Franz studied non-biblical Greek for two years, and taught himself Hebrew. The rest had no formal training in any biblical language. The text of the NWT is more of a transliteration to fit theological presumptions than it is a true translation. This can be seen in key verses that the WTS changed in order to fit its doctrines. The doctrine that most clearly sets the WTS apart from Christianity is its denial of the divinity of Christ. JWs maintain that Jesus is actually a creature—a highly exalted one at that—but not God himself. Scripturally, the evidence is not in their favor. John 1:1 states unequivocally, “In the beginning was the Word, and the Word was with God, and the Word was God.” This verse gave the JWs tremendous difficulty, and so in their own NWT they render the end of this verse as, “And the word was a god.” One great difficulty with this translation is how it contradicts passages such as Deuteronomy 32:39, which says, “I alone, am God and there are no gods together with me.” Further contradictions can be seen in Exodus 20:3, “Have no other gods besides me,” and Isaiah 43:10, “Before me no god was formed nor shall there be any after me.” When a particular translation so clearly opposes other verses in Scripture, one can know immediately that it is inaccurate. In John 20:28 Thomas says to Jesus, “My Lord and my God.” In the original Greek it literally reads, “The Lord of me and the God of me.” It would be nothing short of blasphemy for Jesus not to rebuke Thomas if he was wrong. Jesus does nothing of the sort, but instead accepts Thomas’ profession of his identity as God. The Bible indicates that God alone created the universe (Is. 44:24), and “he that constructed all things is God” (Heb. 3:4). However, Jesus created the heavens and the earth (Heb. 1:10). This passage by itself proves that Jesus is God, since an Old Testament reference to God (Ps. 102:26-28) is now given to him. GOD – Jesus was not the son of any mortal man. His biological father was God, the Father. As Son of God, Jesus represents the Father and acts as his agent in all things.The phrase”Son of God” (huios theou) is a title used of Jesus to indicate that he is divine in nature, just as the title “Son of Man, The title “Son of God” is used twenty-six times in the Gospels referring to Jesus. He is called Son of God by Satan ( Matthew 4:3 Matthew 4:6 ; Luke 4:3 Luke 4:9 ), by demons ( Matt 8:29 ; Mark 3:11 ; Luke 4:41 ), by John the Baptist ( John1:34 ), by his followers ( Matt 14:23 ; John 1:49 ; 11:27 ; 20:31 ), by angels( Luke 1:35 ), and by a Roman centurion ( Matt 27:54 ; Mark 15:39 ). Jesus on occasion referred to himself with this title ( John 3:18 ; 5:25 ; 10:36 ; 11:4 ) and on other occasions acknowledged its validity ( Luke 22:70 ). After his conversion and call to apostleship, Paul immediately began to declare in the synagogues that Jesus was indeed the Son of God ( Acts 9:22 ). In his letters Paul used the phrase in reference to Jesus, saying he was “designated Son of God in power according to the Spirit of holiness by his resurrection from the dead” ( Rom 1:4 ; cf. 2 Col 1:19 ; Gal 2:20 ). The only other letter in the Pauline corpus to use this title is Ephesians (4:13). It is used in Hebrews ( 4:14 ; 6:6 ; 10:29 ), in the letters of John ( 1 John 3:8 ; 4:15 ; 1 John 5:5 1 John 5:10-13 1 John 5:20 ), and once in the Book of Revelation ( 2:18 ).Jesus Christ is God John 1:1 clearly equates “the word” with God; in 1:14 it becomes clear that “the word” is Jesus. Arguments by Jehovah’s Witnesses and others proposing different renderings of John 1:1 are untenable. The WTS would have their followers believe that Jehovah and Jesus are necessarily different beings, though the Bible tells another story. Jesus is called Mighty God in Isaiah 9:6, and in the very next chapter the same title is given to Jehovah in verse 21. Other shared titles include: King of Kings (compare with Rev. 17:14), Lord of Lords (Deut. 10:17; Rev. 17:14), the only Savior (Is. 43:10-11; Acts 4:12), the First and the Last (Is. 44:6; Rev. 22:13), the Alpha and the Omega (Rev. 1:8; Rev. 22:13-16), Rock (Is. 8:14; 1 Pet. 2:7-8), and Shepherd (Ps. 23:1; Heb. 13:20-21). Jesus and Jehovah have much more in common than titles, though. They are both worshipped by angels (Heb. 1:6, Neh. 9:6). They are both unchanging (Heb. 13:8, Mal. 3:6). They both created the heavens and the earth (Heb. 1:10, Neh. 9:6) and are all-knowing (John 21:17, 1 John 3:20). Both give eternal life (John 10:28, 1 John 5:11), and judge the world (John 5:22, Ps. 96:13). To them every knee will bend and every tongue confess (Phil. 2:9-11, Is. 45:23). Consider the question, “Is Jesus Christ really an angel?” He is God not a mere angel.. Angels bow down to Him and worship him.. put the JW on the spot and ask them to show you “the Scriptures” that say Jesus is Michael. There are none. Ask the Jehovah’s Witness which verses say that Michael is Jesus Christ since there are none they cannot do so too. Apostle Paul the author of Hebrews states, “To which of the angels did God ever say, ‘You are my son? . . . Let all the angels of God worship him. . . . Your throne, O God, stands firm forever. . . . O Lord, you established the earth, and the heavens are the works of your hands’ . . . to which of the angels has he ever said ‘Sit at my right hand . . . ’” (Heb. 1). Here, the author of Hebrews separates Jesus from angels, and commands the angels to worship him (cf. Rev. 5:13-14,14:6-7). The obvious problem is this: Archangels are creatures, but the Bible forbids any creature to worship another creature. Thus, either the Bible is in error by commanding the angels to worship an archangel, or Jesus is uncreated and cannot be an archangel. Since this gave the JWs a tremendous problem, they even had to change their own Bible translation, called the New World Translation (NWT), to eliminate the references to worshipping Christ. (The 1950, 1961, and 1970 editions of the NWT read “worship” in Hebrews 1:6.) Beyond this, Jesus has the power to forgive sins and give eternal life, but no angel has this capacity. The New Testament Greek always uses the word “Lord,” and never “Jehovah,” even in quotes from the Old Testament (OT). Encyclopedia Judaica, Webster’s Encyclopedia, Jewish Encyclopedia,Encyclopedia Britannica, Universal Jewish Encyclopedia and countless others agree that the title “Jehovah” is erroneous, grammatically impossible, and was never used by the Jews. The WTS teaches that only the anointed 144,000 seen in Revelation 7 will enter heaven (the “anointed class”), while the remainder that are not annihilated (the “other sheep”) will live forever on earth in paradise. However, the Bible poses some irreconcilable difficulties with this idea. If Revelation 7 is to be taken literally, there would only be 144,000 Jewish male virgins taken from a square shaped earth that are now in heaven worshipping a sheep. This would mean that Peter (not a virgin), the Blessed Mother (not a male), and Charles Taze Russell (not a Jew) could not be in heaven. Reading one number literally while taking the rest of a book symbolically is not sound exegesis. Beyond this, we see in Revelation 14 that the 144,000 stand before the 24 elders from Revelation 4:4. This at least brings the grand total to 144,024 people. But, the Scriptures indicate that there are still more to come. Revelation 7:9 speaks of a countless multitude before the throne, which is in heaven (Rev. 14:2-3). 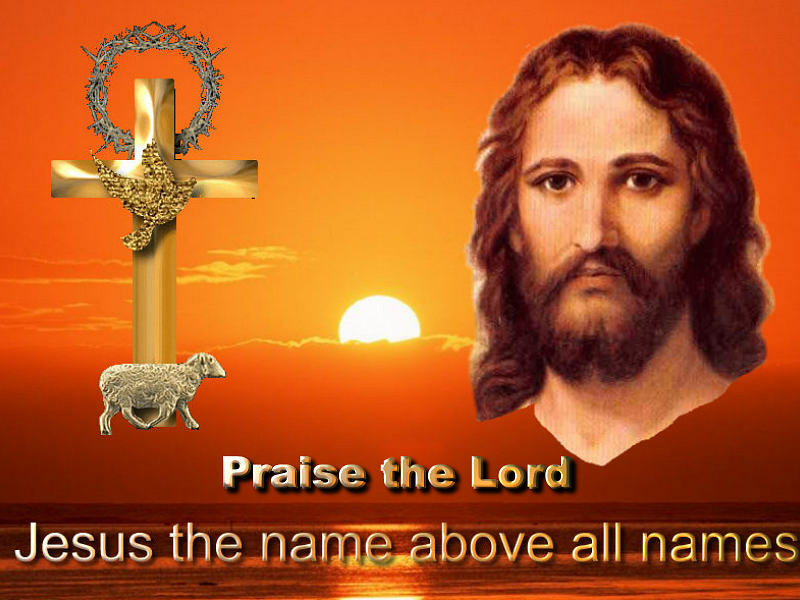 Still in the book of Revelation, we read that all those with their name in the book of life are in heaven (Rev. 21:27), while all whose names are not in the book of life are thrown into the pool of fire (Rev. 20:15). There is no third “earthly” class. Jesus reiterates this, and never speaks of two flocks. He has one bride, whose “reward is great in heaven” (Luke 6:23). Paul even exhorts the Christian community, calling them to remember, “As for us, our citizenship exists in the heavens” (Phil. 3:20). The JWs attempt to use verses such as Psalms 37:29 as evidence that the just are to inherit the land forever, which is earth. In context, this refers to inheriting the promised land as a sign of God’s blessing in the Old Testament. But, Hebrews 11:8-16 indicates that there is a homeland better than the promised land on earth, and this is the heavenly one for those who die in faith. The Old Testament patriarchs “publicly declared that they were strangers and temporary residents in the land . . . they are earnestly seeking a place of their own. . . . But now they are reaching out for a better [place], that is, one belonging to heaven. . . . God . . . has made a city ready for them. . . .These [OT men and women] did not get the [fulfillment of the] promise . . . as God foresaw something better for us” (Heb. 11:13-16,39-40). Even the footnote of the NWT makes clear that the “city” spoken of in these verses is the heavenly Jerusalem mentioned in Hebrews 12:22 and Revelation 21:2. But, the Watchtower still maintains that no one that lived before Christ will ever enter heaven. “The apostle Paul in the eleventh chapter of Hebrews names a long list of faithful men who died before the crucifixion of the Lord. . . . These can never be a part of the heavenly class” (Millions Now Living, p. 89). Only the 144,000 elite that all lived after the death of Christ will supposedly go to heaven. Matthew 8:11-12 provides severe difficulties for this idea, since Jesus proclaims, “many from eastern parts and western parts will come and recline at the table with Abraham and Isaac and Jacob in the kingdom of the heavens; whereas the sons of the kingdom will be thrown into the darkness outside. There is where [their] weeping and the gnashing of [their] teeth will be.” No verse could be clearer in declaring that the patriarchs are in heaven. The following verses all demonstrate that Christians go to heaven, and do not remain on earth: 2 Corinthians 5:1; Hebrews 3:1; Ephesians 2:6; Colossians 1:4-5; 1 Peter 1:4. According to the WTS, “The man Jesus is dead, forever dead . . . ” (Studies in the Scriptures, Vol. 5, 454). “We deny that he was raised in the flesh, and challenge any statement to that effect as being unscriptural” (Studies, Vol. 7, 57). Jesus’ fleshly body “was disposed of by Jehovah God, dissolved into its constitutive elements or atoms” (The Watchtower, 9-1-1953, 518). “In order to convince Thomas of who he was, he used a body with wound holes” (You Can Live Forever in Paradise on Earth, 145). He was raised as an invisible spirit creature, with no physical body (Reasoning From the Scriptures, 214-215). However, according to Scripture, “If Christ has not been raised, your faith is in vain, and you are still in your sins” (1 Cor. 15:17). Jesus makes clear, even before death, that it is his body that will be raised up. He promises to raise up the temple once it is destroyed. “He was speaking about the temple of his body” (John 2:21). After he had risen, he gives the same testimony, “See my hands and my feet, that it is I myself; feel me and see, because a spirit does not have flesh and bones just as you behold that I have. . . . Do you have something there to eat?” (Luke 24:39, 41). Jesus insists that Thomas place his finger into his wounded side, so as to prove that he had indeed risen from the dead (John 20:27). There is no question that Jesus had truly risen from the dead. No Christian was under the impression that he was invisibly raised as Michael the Archangel, while God the Father dissolved his natural body. Such a presumption is without historical or scriptural warrant, and the “proof is in the pudding”: Ask the JW to show you a Scripture verse which backs up the WTS’s assertion about God disposing of Jesus’ body. He can’t, because there isn’t one. WTS insists that the Trinity is unbiblical and false, they relegate the Holy Spirit to the role of God’s impersonal active force which compels believers to do his will. In fact, they compare the Holy Spirit (which they render as “holy spirit”) to electricity. The Bible begs to differ, though. There are numerous verses in the New Testament which clearly demonstrate both the personality and divinity of the Holy Spirit. For example, in Acts 13:2, the Holy Spirit says, “Set apart for me Barnabas and Saul for the work to which I have called them.” In Acts 10:19-20, this “impersonal force” considers himself to be a person. John 16 supports this idea by referring to the Holy Spirit as a “he” 10 times in the same chapter. First Corinthians 12:11 states that the Holy Spirit “wills,” which is an irrefutable attribute of personhood, as is the capacity to love we see demonstrated by the Spirit in Romans 15:30. Scripture also states that the Holy Spirit can: be lied to (Acts 5:3), speak (Acts 10:19-20), hear (John 16:13-15), know the future (Acts 21:11), testify (John 15:26), teach (John 14:26), reprove (John 16:8-11), pray and intercede (Rom. 8:26), guide (John 16:13), call (Acts 13:2), be grieved (Eph. 4:30), feel hurt (Is. 63:10), be outraged (Heb. 10:29), desire (Gal. 5:17) and be b.asphemed (Mark 3:29). Only a person is capable of these. These examples demonstrate sufficiently that the Holy Spirit is a personal being, and so now one must demonstrate that he is God. Acts 5:1-4 teaches that a lie to the Holy Spirit is a lie to God himself. Isaiah 44:24 insists that God alone created the heavens and the earth, but Job 33:4 and Psalms 104:30 explains that the Holy Spirit created them. Only God is everlasting, and this is likewise an attribute Scripture gives the Holy Spirit (Heb. 9:14). The Jews put Jehovah to the test (Ex. 17:2), and the Holy Spirit takes the words of God, and claims they “tested and tried me” (Heb. 3:9). Unless the Holy Spirit is God, then he is an impostor. Again, in Hebrews 10:16, he claims to have placed his law in man’s hearts, though this was God’s work in Jeremiah 31:33. There is but one Lord (Eph. 4:5), and one Creator (Mal. 2:10), yet both the Father and the Spirit claim they are him (Matt. 11:25 and 2 Cor. 3:17; 1 Cor. 8:6 and Ps. 104:30). Only the Catholic understanding of the Trinity reconciles these passages. JWs falsely deny the immortality of the soul. Perhaps the strongest contradiction of the WTS doctrine is seen in Christ’s descent to Hades. In 1 Peter 3:19, the apostle tells his audience how Jesus “preached to the spirits in prison.” If the dead were aware of nothing, then his preaching would have been futile. In the OT, the prophet Isaiah speaks of the condition of the dead, “Sheol underneath has become agitated at you in order to meet you on coming in . . . all of them speak up and say. . . . Those seeing you will gaze even at you, saying . . . ” (Is. 14:9-11). These verses indicate clearly that the dead are conscious, and the NT tells the same story. To be absent from the body is not to be unconscious, but rather it enables one to be home with the Lord, according to Paul (2 Cor. 5:8, Phil. 1:23). The body is just a tent, or tabernacle that does not last (2 Cor. 5:1-4; 2 Pet. 1:13), while man cannot kill the soul (Matt. 10:28). In fact, the souls live past the death of the bodies, since John “saw . . . the souls of those slaughtered . . . and they cried with a loud voice, saying . . . and they were told . . . ” (Rev. 6:9-11). Because the soul does not die with the flesh, those in heaven are able to offer our prayers to God (Rev. 5:8), and live in happiness (Rev. 14:13). JW’s falsely also maintains that everlasting punishment is a myth and a lie invented by Satan. Hell is merely mankind’s common grave, and is definitely not a fiery torture, according to them. According to Scripture, if one is in hell, “he shall be tormented with fire and sulfur . . . the smoke of their torment ascends forever and ever, and day and night they have no rest” (Rev. 14:11). This is an “everlasting fire prepared for the devil and his angels” (Matt. 25:41). Jesus tells his listeners of Lazarus and the rich man, where the rich man dies, and is “existing in torment . . . he sees . . . calls out . . . ‘I am in anguish in this blazing fire’” (Luke 16:19-31). As a further illustration, Jesus stated that hell is likened to Gehenna. This “Valley of Hinnom” was located southeast of Jerusalem, and was used as a garbage dump where trash and waste were continuously burned day and night in a large fire. Jesus informs the listeners that hell is like this, “where the maggot does not die, and fire is not put out” (Mark 9:42-48). It is the place where the wicked are sent, and from this “everlasting fire” (Matt. 18:8) will come “weeping and the gnashing of teeth” (Matt. 8:12). Now if hell were “a place of rest in hope” as the WTS teaches, then it is odd that Jesus would choose such contradictory illustrations to convey this. Lastly, Revelation 20 calls hell a “pool of fire . . . [where] they will be tormented day and night, forever and ever”—all who are not in the book of life. So, if one’s name is in the book of life, one enters heaven (Rev. 21:27). If it not in the book, then a literal hell awaits. and most of Christianity would agree here with me, 2 billions of them too.. The revision modifies the original noun with a more impersonal form as the JWs reject the orthodox Christian belief in the personality of the Holy Spirit. The revision clouds the connection between God’s self proclaimed title and Jesus’ proclamation of being the same in John 8:58, as the JW rejects the deity of Jesus. The original future tense of the verb indicates that there will never be another being sharing in God’s divinity. The altered tense suggests credibility to the JW doctrine of Jesus’ becoming a “mighty god” while still being less than Jehovah in nature. The revision avoids addressing the Son, Jesus, as God to validate the JWs’ rejection of his divine nature. Similar to the Rom. 2:29 revision above, the switching of the article before the adjective represents the work of the Holy Spirit in a more indirect/ impersonal manner. Similar to the I Cor. 14 revision shown above, this one tries to obscure the distinctive reality of human spirits by replacing them with a more abstract noun. This revision represents the same noun-switching as described in Heb. 12:9 above. The NWT finds many ways to disguise the personality of the Holy Spirit. In this case the third person pronoun exercising individual conscience and will is replaced with an impersonal pronoun. Like several other Biblical passages, this one indicates the distinctive presence of the human spirit as distinguished from the mind and body. The JWs evade these distinctions and try to disguise them with related revisions. Similar to the Acts 16:30 revision above, this one again obscures the completeness of salvation by grace. The JW’s salvation exists as an extended process (“being saved”) with the outcome being uncertain until final judgment before Jehovah. Similar to the I Cor. 14 revision above, this one attempts to obscure the reality of the individual human spirit by presenting it more as an attitude of action than an entity. Paul’s eagerness indicates that the believer’s spirit goes immediately into Christ’s presence at death. The revision suggests that death and being with Christ are two separate steps in an extended process, as the JWs believe in soul sleep (i.e., the unconscious state of the human spirit awaiting the resurrection). The revision obscures the nature of God’s knowledge and power as a first recognition may or may not be foreknowledge. The direction proclamation that Christ is God is obscured by the altered text. This revision obscures the fact that the Lord referred to in verse 13 is the same Lord called Jesus in verse 9. Since the JWs reject the deity of Jesus, the revision is made accordingly. The Greek word, kurios, translated “Lord” has been revised to “Jehovah” over 200 times in the NWT. The JWs insist that this is the only valid title for God, even though Greek-speaking Jews used “Lord” and “God” in place of “Yahweh” (the source of “Jehovah”) throughout their Septuagint translation of the Old Testament. Furthermore, the Bible contains dozens of names for God other than Lord, Yahweh, or Jehovah. Since the JW regard saluting a flag, military service and similar forms of submission to government as idolatry, they have added words to the text to weaken the proclaimed authority of government. To avoid recognition of the indwelling of the Holy Spirit in the individual believer, the revision modifies “body” to a more collective form in harmony with the opposing JW doctrine. This represents another form of disguising the separate personality of the Holy Spirit as in Rom. 2:29 above. The original text refers to the derivatives of the Spirit, but the revision identifies the spirit as a derivative. This revision avoids the suggestion that there is continuity of either body or soul after death. Their teaching that the soul ceases to exist at the death of the body precludes the ownership of, or relationship to, a body that must be redeemed. “All things” changed to “all his works.” The revision undermines the sovereignty of God by suggesting that He controls only the things He is directly involved in doing. Same intent as described in Exodus 3:14 above. The revision ignores the context of the pronoun with the Comforter role in the preceding verse to deny the personality of the Holy Spirit. The original text reflects the shared deity of God the Father and Jesus before the creation of the world, but the revision suggests different natures as implied by different states of glory. The original statement by Jesus indicates his shared deity with the Father. The revision undermines this by suggesting a greater separation between them. The revision evades recognition of the Holy Spirit and His activity at Pentecost by suggesting an impersonal force activated to a more limited degree by God. The passage indicates that a disobedient believer who sins can still find forgiveness and eternal life. The JWs believe heaven is reserved for only 144,000 specially designated servants of God. The revision suggests more separation between these groups through a status hierarchy. The Greek word kolasis translated “punishment” indicates continuous torment, but the NWT revision suggests “termination,” as the JWs promote the doctrine of annihilationism regarding condemned souls. Nothing in the original Greek text justifies the insertion of “in symbol.” The revision undermines the significance of John the Baptist’s ministry, the Jewish meaning of baptism and the Christian sacrament of baptism in contrast to the more regimented JW baptism requirements. The addition of “union” suggest something more than what the original Greek actually states and adds further credibility to the NWT distortion presented in John 6:56 below. Jesus assured the thief on the cross that their spirits would soon enter the spiritual/heavenly realm together. As the JWs reject the belief in the conscious survival of the human spirit after death, their revision suggests that “today” deals with the time of the statement rather than the relocation of their spirits. The JWs reject the orthodox Christian belief in the deity of Jesus. The revision asserts that Jesus was someone other than God Himself. Titus 2″15 These things speak, and exhort, and rebuke with all authority. Let no man despise thee. To be spiritual must I know Greek or Hebrew? Of the three languages that Jesus might have spoken: Greek, Hebrew, and Aramaic now the Hebrew for sure is the least likely..Aramaic is a Semitic language, related to Hebrew, Arabic, and other similar languages and so some people still do claim this was Jesus main language but they cannot prove this.. Even if some grave inscriptions around Jerusalem are in Aramaic, not Hebrew. The widespread use of Greek or Aramaic among even the Jews is a fact, but Aramaic was one of language of the people, though many people at the Time of Jesus would get along in Greek mainly. Not in Hebrew. it is worth nothing that Greek was commonly used in certain strata of Galilean society. This began when Alexander the Great conquered the region in 332 B.C. Under his rule, and under the rule of those who followed him (the Ptolemies and the Seleucids), Greek was the language of government and commerce. The Romans used Latin for official communication, but Greek was the common language of the Empire. Greek was the common language of the Roman Empire. Would people in Nazareth have spoken Greek? Yes many of them would have been familiar with Greek and used it in their businesses. In fact, Nazareth was a short walk from Sepphoris, one of the major cities of Galilee, where Greek would have been the everyday language of the marketplace. As a craftsman living near Sepphoris, Jesus had to know Greek to do business with the people there. It is difficult to the extreme to interpret from the fragmentary evidence available and draw conclusions for the use of any Hebrew language in late second-temple Galilee. In Matthew 8:5-13, for example, Jesus entered into dialogue with a Roman centurion. The centurion almost certainly spoke in Greek. And, as Matthew tells the story, he and Jesus spoke directly, without a translator. The story suggests more immediate communication, which would have been in Greek. The same could be said about Jesus’ conversation with Pontius Pilate prior to his crucifixion (Matthew 27:11-14; John 18:33-38). Now the telling of the story points to a Greek-speaking Jesus. (Pilate would have used Greek, not Latin, as it’s unlikely that he would have known or used Aramaic. Pilate for sure was not the sort of man who would stoop to use an other language . Yes it very reasonable to assume that Jesus did speak Greek and The earliest manuscripts of the New Testament Gospels – Matthew, Mark, Luke, and John – are written in Greek . Many Jewish writings from the era of Jesus were written in Greek, including works such as 2 Maccabees and 1 Esdras. Other Hebrew writings were being translated into Greek in Jerusalem (the book of Esther, for example, in 114 B.C.). Speaking of Jerusalem, scholars have found some ninety Greek inscriptions on ossuaries (boxes for bones) that date to around the time of Jesus and were found in or around Jerusalem. Ever since Alexander the Great conquered Judea in 332 B.C., Greek had been the language of government and, increasingly, commerce and scholarship. Greek was undeniable as the main popularity and influence. In the time of Jesus, well-educated Jews, mainly those of the upper classes, would have known and used Greek. So would those who were involved in trade or government. in their business and travels to the other cities of the Roman empire too. The presence and pervasiveness of Greek in Judea is demonstrated by a discovery in the Nahal Hever region of the Judean Desert near the Dead Sea. In a cave, a scroll was found that contains substantial portions of the minor prophets in Greek. The so-called Nahal Hever Minor Prophets Scroll, dated around the time of Jesus, shows the influence and popularity of Greek, even among highly religious Jews. One can uphold the inerrancy of Scripture and also still believe that Jesus spoke Greek. For those of you who have become fascinated by — or perhaps deceived would be a better word for it — the idea of trying to discover if you have any Jewish or Hebrew roots of Jesus, the New testament.. no one can prove what it is.. there are less than 3 books from the time of Christ available about Jesus, and the JW plus the Jewish Messianic Parrots are still some of the Biggest liars . There is really no need for anyone to try to impress me with how pro-Israel Jesus once was.. He is no longer pro Jewish, Pro Israel..he became an ex Jew like all the Apostles. So now even I really don’t care about the subject of Jews.. and their Hebrew language… because I am not Jewish. I am a New Testament Christian who strives to follow the pattern of the First Century Church. It can be generally agreed that the historical Jesus primarily spoke Greek perhaps along with some Hebrew and Aramaic (although there is some debate as to the degree). The towns of Nazareth and Capernaum, where Jesus lived, Greek was widely spoken as in the major cities of the Eastern Mediterranean such as Antioch and Alexandria. Jesus may have also known enough Hebrew to discuss the Hebrew Bible, and he may have known Koine Greek a common language of the Eastern Mediterranean after the Macedonian-Greek (331 BC) and Roman (63 BC) invasions. Indeed, Most of the apostles from the Galilee region also spoke Greek . SO THE HEBREW LANGUAGE AT THE TIME OF JESUS FOR ALL PURPOSES DIDN’T EXIST? Jews falsely use the idea that Jesus spoke Hebrew as a support for the truth of Judaism A few scholars believe that people in Nazareth spoke Hebrew as their primary language. This is possible, but unlikely. Unfortunately, many of those who make the case for a Hebrew-speaking Jesus seem to be motivated by something other than a desire to know which language(s) he actually spoke.) So what evidence do we have that Jesus spoke Hebrew? We do not have in the New Testament Gospels a quotation of Jesus in Hebrew As one who believes about Jesus all the things orthodox Christians do, it would not impact my faith one jot or tittle if Jesus spoke Hebrew rather than Aramaic, or Greek rather than Hebrew but the truth is Jesus spoke Greek still..
Now, you don’t have to spend the next several years learning ancient languages because English KJV translation of the biblical text is very much reliable it was based on the Tyndale translation of the Greek too..The question of Jesus’ primary language is settled if we knew what people in Nazareth in the first decades of the first century A.D. were speaking and the Romans made it clear.. Greek or Latin only.. and we have no evidence for the common use of Hebrew in Nazareth and the surrounding region of Galilee.it is worth nothing that Greek was commonly used in certain strata of Galilean society. This began when Alexander the Great conquered the region in 332 B.C. Under his rule, and under the rule of those who followed him (the Ptolemies and the Seleucids), Greek was the language of government and commerce. The Romans used Latin for official communication, but Greek was the common language of the Empire. In fact, Nazareth was a short walk from Sepphoris, one of the major cities of Galilee, where Greek would have been the everyday language of the marketplace.The earliest manuscripts of the New Testament Gospels – Matthew, Mark, Luke, and John – are written in Greek. Yes there is overwhelming evidence, both historical and linguistic that shows that the New testament texts were never originally written in Hebrew, as some Jews claim but they are known liars.. Show us this original Hebrew transcript of Matthew.. none exists..None.. all is in Greek.. and scholars have not found a single manuscript in Aramaic or Hebrew that predates the Greek Not one.. The New Testament, however, was written first solely in Greek. Hidden agendas, the world is full of it, many people have hidden agendas. some not too well hidden even. Sadly some people they tend present their own “facts,” but fall short in truthfulness for they tend to falsely have a hidden agenda, one of which is that often they want to get rich, and /or live in the kingdom of self, to be falsely personally worshipped and still live in sin too. Jehovah’s witnesses are very strongly cultic in both doctrine and behaviour, thus fitting both categories of false doctrine and mind control. They believe that all true Christian churches are of the devil. They have just changed a major Watchtower prediction that the end of the world would come before the generation of Witnesses born before 1914 died. They are encouraged to visit homes for at least 10 hours per month distributing Watchtower materials. They use their own special translation of the Bible which mistranslates the original texts. They are well known to disown, shun, and ignore any friends and family leaving the cult. They are not allowed to be in the army or wear crosses. They are not allowed to celebrate birthdays. A) you say that “I profess my faith in the living God” – who? Jesus Christ.. who was God form the foundation of the world, a part of the trinity? B ) or the Jesus who became a god? C) and there is no trinity? D) Do you also now believe that all the gifts of the Holy Spirit still exists even today? F) and do you believe this John 1:1 In the beginning was the Word, and the Word was with God, and the Word was God. 2 The same was in the beginning with God. 3 All things were made by him; and without him was not any thing made that was made. 4 In him was life; and the life was the light of men. 5 And the light shineth in darkness; and the darkness comprehended it not. 6 There was a man sent from God, whose name was John. 7 The same came for a witness, to bear witness of the Light, that all men through him might believe .8 He was not that Light, but was sent to bear witness of that Light. 9 That was the true Light, which lighteth every man that cometh into the world.10 He was in the world, and the world was made by him, and the world knew him not.11 He came unto his own, and his own received him not.12 But as many as received him, to them gave he power to become the sons of God, even to them that believe on his name:13 Which were born, not of blood, nor of the will of the flesh, nor of the will of man, but of God.14 And the Word was made flesh, and dwelt among us, (and we beheld his glory, the glory as of the only begotten of the Father,) full of grace and truth. 15 John bare witness of him, and cried, saying, This was he of whom I spake, He that cometh after me is preferred before me: for he was before me.16 And of his fulness have all we received, and grace for grace.17 For the law was given by Moses, but grace and truth came by Jesus Christ.18 No man hath seen God at any time; the only begotten Son, which is in the bosom of the Father, he hath declared him. ( Jesus was not a god but the God)..
Are you a false Watchtower slave? JW do not follow the real Jesus It is always evident that the semostly still liars, people claiming to be good persons, who try to enforce the one way rules on others, those even they do not practice, are still just liars and hypocrites.. and of course they do not want you to judge them, to know and expose this to any others.. But a person is known by the company they keep.. One having bad company leads to one going to hell too.. tell me who your friends are and I will tell you who you are now.. a person is also know by what he does, and the values he or she have.. some people have bad values, some people falsely go extreme with good values.. There is much evidence that YHWH never appeared in the New Testament. Most obvious is the absence of YHWH in any of the 5,000 discovered Greek New Testament manuscripts. When adding the word Jehovah to the New Testament the Watchtower lies . This is a serious misrepresentation of scripture. Doctrine should be formed by scripture; scripture should not be changed to support doctrine. Inaccurately inserting the word Jehovah into the New Testament changes the meaning of Jesus message to his followers in a number of ways. -Jesus is the name borne witness to. -Jesus is the name used to expel demons. -Jesus is the subject of the kingdom good news. -Jesus name invokes persecution, yet Jehovah’s Witnesses claim their persecution in the Name of Jehovah fulfills prophecy. -Jesus name alone is the means of salvation. As their name implies, Jehovah’s Witnesses predominant focus is on preaching about Jehovah whilst the message of the New Testament was to be witnesses of Jesus. The false huge emphasis of the Watchtower on the name Jehovah detracts from the constant New Testament message of the Christ. Even when quoting scriptures such as Acts 4 the Watchtower manages to deflect attention from Jesus to Jehovah. Now real Biblical repentance evident and it includes s admitting one sins to God, stopping and consciously turning away from them, turning back toward God, and personally accepting Jesus Christ finished work, forgiveness for them. True repentance is confession, contrition, change; replacement and it involves the whole person, Our Body, Soul, Spirit. It is also a personal, ongoing event. It is visible to all now too..
(Rev 18:4 KJV) And I heard another voice from heaven, saying, Come out of her, my people, that ye be not partakers of her sins, and that ye receive not of her plagues. (Rev 18:5 KJV) For her sins have reached unto heaven, and God hath remembered her iniquities. Mat 7:16 Ye shall know them by their fruits. Do men gather grapes of thorns, or figs of thistles? 17 Even so every good tree bringeth forth good fruit; but a corrupt tree bringeth forth evil fruit. 18 A good tree cannot bring forth evil fruit, neither can a corrupt tree bring forth good fruit. 19 Every tree that bringeth not forth good fruit is hewn down, and cast into the fire. 20 Wherefore by their fruits ye shall know them. :21 Not every one that saith unto me, Lord, Lord, shall enter into the kingdom of heaven; but he that doeth the will of my Father which is in heaven.. The following is a list of twenty-two cult characteristics that will enable anyone to determine in five minutes what is and isn’t a cult. •If the leader or leaders write their own material and claim that it is from God or “inspired by God” or “from the mouth of God” then they are a cult. •If the leadership tells you that you can’t read anything written by any other church or religion and only can read what they write then it is a cult. •If you are forbidden to speak to or read anything written by someone who has left the group for reasons of conscience or belief then it is most definitely a cult. •If the leadership has to write its own version of the Bible and call it “improved” or “more accurate” and the use of that “translation” is unique to that religion then it is most definitely a cult. •If personal choice and independent thought is considered to be “evil” then it is most definitely a cult. •If asking difficult questions is discouraged then it is most definitely a cult. •If, when finding a particular question difficult or impossible to answer you are told to just “have faith” or “wait on the Lord” then you are probably in a cult. •If it is forbidden to disagree either privately or openly with the leadership on any point then it is most definitely a cult. •If you are encouraged to sever ties with anyone not affiliated with your religion then it is most definitely a cult. •If the group actively solicits membership it is probably a cult. •If an interested person is only given enough information to pique their interest but not enough information to scare them away then it is most definitely a cult. •If you are told to teach just “the good stuff” during the initial phase of a person “studying” with you then you are most definitely in a cult. •If there are aspects of your teaching that are purposely kept hidden until the student is very far along in the indoctrination process then you are most definitely in a cult. •If the members are instructed to be especially nice to new visitors then it is probably a cult. •If the leadership teaches that they are the only ones with “the truth” and that everyone else is deceived then you are in a cult. •If the members are encouraged to turn other members in for infractions then it is 100% most definitely a cult. •If you are given a litany of rules and regulations to follow then you are most definitely in a cult. •If your schedule is booked with group activities to the point that you have little or no time to yourself then you are most definitely in a cult. •If you are told to have little or nothing to do with anyone, including close friends and family members, who choose to leave the group, then you are most definitely in a cult. •If your leadership is nameless, mysterious, aloof, unapproachable, unaccountable or otherwise “nebulous” then you are most definitely in a cult. •If your leadership doesn’t have to report their income to you or the government then you are most definitely in a cult. •If higher education is considered evil and strongly discouraged by the leadership then you are most definitely in a cult. How many of the above characteristics hit your religion? If it was more than five then you are probably in danger of being in a cult. If you answered yes to ten or more than you are most definitely in a mind control cult. The clear signs of the Control freaks for your -diagnosing pleasure. 1 They try to “help them” change by pointing it out, usually over and over. 2 They try micromanage others to make them fit their often unrealistic expectations. They can’t accept others imperfection they don’t think anyone else should either. 3 They continually judge others’ behavior as right or wrong and without love, passive-aggressively withhold attention, contact until they fall in line with their demands, expectations. Sitting in silent judgment an other form of control. 4 They offer “constructive criticism” as a veiled attempt to advance their own agenda. 6 Fear mongers, threateners and manipulators. 8 They intervene on behalf of others by trying to explain or dismiss their negative behaviors to others. Most of these people with their negative personality disorders specifically the immoral persons, liars, control freaks may even not perceive that there is anything wrong with their behavior and thus they are not motivated to change it. It is important to note that these personality disorders are considered to have their onset in late adolescence or early adulthood and they alone are responsible for it too. Again false Denial, it is very very common when many an individual are openly confronted with the truth they do not like so that they resort to a false denial. When confronted with the truth the denier they often respond with a similar personal counter attack remark as ”you are crazy”. “I reject your reality… and substitute my own.” Their false denial, diversion, distortion does not change the negative reality about themselves still though. Sadly it is a negative natural human tendency to devolve into denial.” It’s not just a moral compass that’s lacking, but the ability to honest, or to stand apart. Denial often comes out of a false pride, a fear of being openly exposed as being wrong. Denial is a false convenient escape, excuse for inaction for persons now facing a situation that requires a decision or action that conflicts with his or her established past policy. Denial too often can be further disastrous upon themselves and others.. for denial is not seeing data at all or seeing it and coming to an erroneous conclusion within oneself. One’s false denial is often based on their own severe personal failure next due to a personal disconnect with real life. Illustrated fully by the story of the Emperor with new clothes. Too many persons now they are trying to change others when they firstly do need to be changed.. While in reality God has made us all equal, and GAVE US ALL MOUTHS WE CAN SPEAK WITH, EARS TO LISTEN, it seems some people, in churches, on the net, elsewhere, they still wrongfully do think they are better than others, or want to dominate others, do try to give orders to others, do try to make rules for others that they too often themselves do not follow too, they are in fact still bullies.. and now why is that? and who do they think they are now that they are so special? Mere fools. They mostly have a hidden agenda, they are falsely seeking fame, power, control, a position of prestige, for they are immoral slave drivers trying to walk on the back of others . Many people have their own false images, scenarios, and refuse to see the truth of what is going on and in denial to the truth, these people they next even do falsely say anything, lies, slander included.. these people are the ones who need help. It is a COMMON fact of life, particularly among the young, inexperienced, really bad persons who really hate the truth or they cannot handle serious , heavy negative realities that false denial, ostrich approach is a serious part of their make up, and their related defense protection when they now cannot discredit the facts, the make a false personal attack on the writer, persons instead. A person who makes a personal attack instead of dealing with the facts shows to all they are brain dead. Note the bad persons especially as even I know this for sure. They respond with a personal attack, inquisition, censorship, lies, slanders, diversions, distortions, instead of facing, dealing with the facts, truths being presented. Confirming to many what they still are really like, immoral, abusive bullies. When you oppose, criticize openly some of these very the bad persons one tends to get a false denial, They still really cannot face the reality there are things in their life that need serious, drastic changes. These people in denial are the ones who often need professional help for their own short comings, sickness. Their false denial, diversion, distortion does not change the negative reality about their own unacceptable acts. These People in the state of false denials, clearly also who lie often, they do now also tend to have severe personal, mental disorders next even cause one tends to eventually believe next ones own lies as being the truth, and they can no no longer differentiate their own lies from reality, the truth. By their false denials Who is fooling whom? You cannot fool all the people all the time and now matter how smart you are there is still someone more wiser who can see the truth still too..
JW are not the sheep belonging to Jesus, they follow another Jesus as they listen to the voice of the devil, JW is a cult and they do not listen to the voice of the holy spirit.. JW wake up before you got to Hell. The JW “bible” states: “In [the] beginning the Word was, and the Word was with God, and the Word was a god.” (Jn1:1) Notice the article “a” and lower-case “god”. With this wording they proclaim that Jesus was -one- of ‘many’ gods. A comparison of Bible texts that refer to the holy spirit shows that it is spoken of as ‘filling’ people; they can be ‘baptized’ with it; and they can be “anointed” with it. (Luke1:41; Mt3:11; Acts10:38) None of these expressions would be appropriate if the holy spirit were a person…..
Biblical Teaching:”However, when He, the Spirit of Truth, has come, He will guide you into all Truth. For He shall not speak of Himself, but whatever He hears, He shall speak.” (Jn16:13) Notice all the personal pronouns, “He”. John 3:16 tells who are saved,(‘justified as righteous’) Rom.10: 4. These are adopted into the family of God,(Gal. 3:26). ho ever accepts His grace, are His remnant ‘of each generation.’ Only these out of all the earth,(John 1:12) are sons of God, his elect. We should never allow ‘books’ to tell us other wise as Jw’s books do falsely Note JW -1 Jn.3:7.‘Books’ have you boasting, in someone other than Jesus Christ. How can you say you are not sure you are not saved as of this moment?? ?’ If your ‘book’ studies don’t have this line of reasoning, then your JW ‘books are not biblical. God knew I would do good works works.“That’s why He saved me.” But you tell me I am not doing enough to be saved and yet can’t even tell me that you are saved?’ How does your JW ‘books’ explain that? How many doors must one knock on before being saved?- Titus 3:5. Eph. 2:7-(vs. 9,‘walk in him’ as in col. 2:6). All those passages prove that the JW books are not of God. Christians ‘are saved! Misquotes, Deception and Lies by the JW. External research is not recommended, as the Watchtower supplies all the information required. There are many examples of the JW presenting information to mislead others, including total dishonesty, incorrect information, misrepresenting a person’s position, misquotes, withholding information, use of ambiguous language and rhetorical fallacies. The devil like the JW misquotes the Bible, uses the Bible to spread his lies.. The Watchtower has regularly lied about what it said prior to 1914, claiming it correctly predicted the occurrences of 1914, and has held to consistent teachings regarding that date. Yet it is now stated that the Watchtower “anticipated” Jesus would receive power in 1914. Likewise, it was originally predicted that the end was to occur in 1914, yet now it is wrongfully stated that 1914 was the “start” of the end. 1914 was to be the start of the earthly resurrection. Now they claim their calculations were true. It was not declared that the world would enter the time of trouble in 1914, as the time of trouble was said to have started in 1874. Whilst, it is strictly correct that Russell declared the Gentile Times, or “appointed times of the nations”, would end in 1914, these statements hide that nothing expected for the end of the Gentile Times came to pass. For more information see Failed 1914 Predictions. Questions that Jehovah’s Witnesses do not like to be asked. The Bible vs. The Jehovah’s Witnesses .